Ask anyone about the most frustrating part of moving to a new apartment and the answer will be: finding a reliable home moving service, atleast in the Middle East. That is the problem a Dubai-based entrepreneur is trying to solve with his startup, Yalla Pickup. 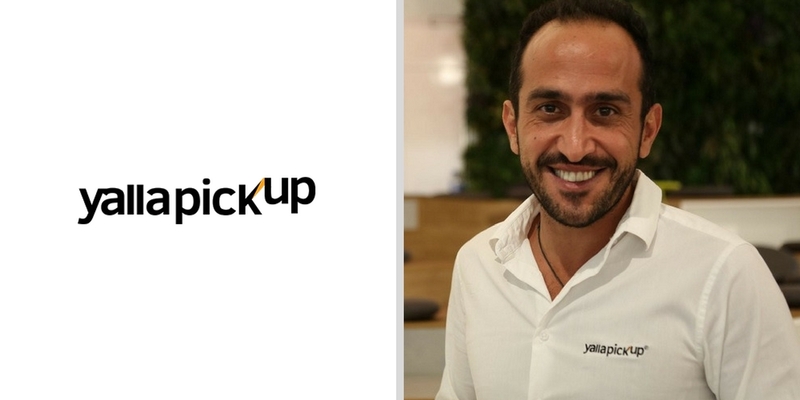 Founded by Elie El Tom in 2016, Yalla Pickup is a platform that allows individuals and businesses to book pickup trucks through its web and mobile apps. You may think of it as a Careem for moving stuff. So not only when you’re moving to a new place but for any large consignment that you would like to move in Dubai, Yalla Pickup maybe the answer. “It started when I was going back home one day and I saw all those trucks parked on the outskirt of motor-city with the mobile numbers written on them; so I thought why don’t we connect those people who have trucks with people who actually need one.” Elie El Tom, the Founder & CEO of Yalla Pickup told MENAbytes, speaking about the inspiration to start it. Having graduated from Sharjah-based Sheraa’s accelerator, Yalla Pickup raised ~$272K (AED 1 million) as seed investment from The Box, a Dubai-based self-storage service provider. Yalla Pickup is the first one of ten startups, from Sheraa’s first cycle to have raised a significant amount as the seed investment. The startup currently has over 50 businesses and 100 individuals registered on its platform as customers and has been experiencing a 200 percent month-on-month growth since January 2017. The startup has won awards of Most Innovative Transport Service by UAE Business Awards 2017, Transport App of the Year at Mobile App Awards 2016 and most recently was listed among the 50 Arab Startups to Watch by Forbes Middle East. But just like any other startup, the initial success for Yalla Pickup didn’t come without any challenges. Elie told us that finding the right vendors, in the beginning, was one of the biggest challenge faced by their startup. Yalla Pickup is not the first regional startup to go after this problem. TruKKer is another UAE-based startup that offers exactly same services. However, it seems that TruKKer does it through its web platform only and doesn’t have mobile applications, yet. Service Market (formerly known as MoveSouq) is another startup offering moving services. They’re relatively different as they’re not targeting the niche of trucks or pickups and have a bigger scope. Having raised seed funding, Yalla Pickup is now eyeing for expansion into Saudi & Oman markets in the next few months. TruKKer also has similar plans. It would be very interesting to see who of these two eventually ends up being the market leader in these new markets. For now, Yalla Pickup seems to be ahead of TruKKer as far as having native apps are concerned.